Final Cut Pro, Apple‘s premier video editing suite, has been stuck at version 7 since 2009. The next release will jump ahead by three whole numbers and drop one of the company’s trademark Roman numerals into the name, as was revealed at the ongoing NAB Show in Las Vegas, Nev. 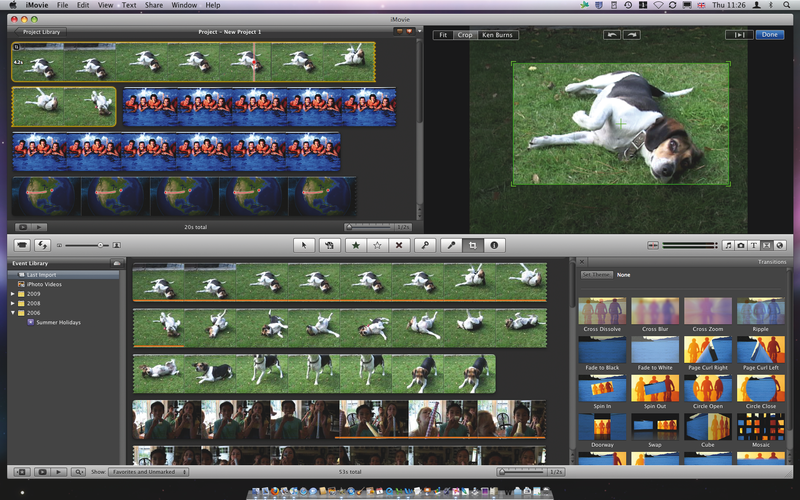 Final Cut Pro X will be coming to Apple’s online store this June carrying a price tag of $299. The updated editor will include a range of features, but one of the big ones is the addition of support for 64-bit operating systems, a first for the product. Put simply, 64-bit architecture is able to handle large portions of RAM more effectively than the more commonly used 32-bit architecture. The improvement will allows users with more than 4GB of memory — and a 64-bit OS of course, which you should be using anyway if you have that much RAM — to take full advantage of that horsepower. There’s plenty more. The user interface has been updated to more closely resemble iMovie. Also like that more consumer-focused video editing app, Final Cut Pro X features “background rendering,” which means that it is constantly rendering video in the background (makes sense, right?) to allow for quicker editing. All sorts of other features are coming too, including the ability to detect people in shots and the type/distance of shots, automatic audio clean-up, range-based keywording (apply keywords to sections of clips) and the ability to handle 4K resolution, among others. Check out a lengthy live blog of the announcement over at Photography Bay.